Fresh green peas go brilliantly with lemon and mint- and a little bit of feta cheese never fails to make the taste buds sing! This a sturdy, satisfying salad to take along to picnics and barbecues and goes very nicely with a pastured lamb chop or two. Combine barley with 750 ml water in a medium saucepan. Bring to the boil then reduce the heat and cook at a gentle boil for about 25 minutes, or until tender. Drain, cool under running water, then drain thoroughly. Bring a large saucepan of salted water to the boil and fill a large bowl with iced water. Cook fresh peas for 2-3 minutes or frozen peas for about 5 minutes, until bright green and just tender. Drain, cool completely in the iced water, then drain thoroughly. For the dressing, combine garlic, lemon juice, zest and olive oil with plenty of salt and pepper in a small jar. Shake to combine. 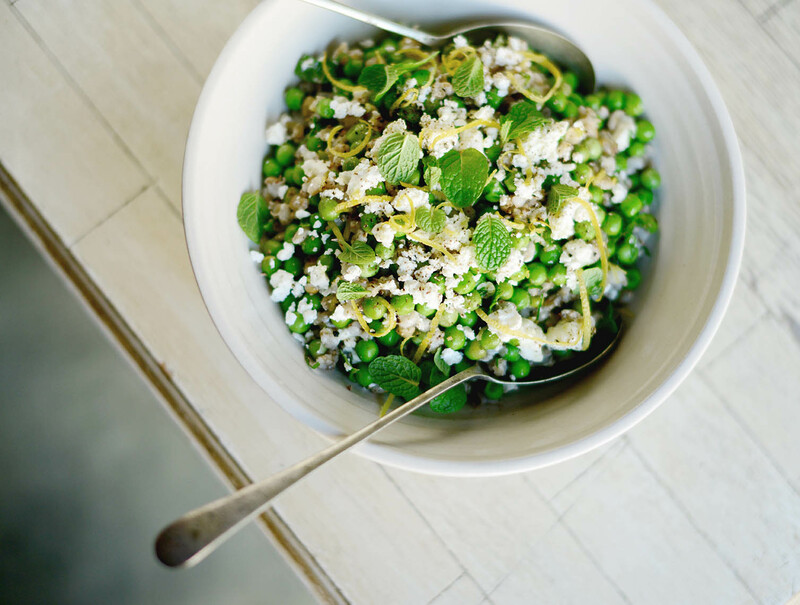 To assemble the salad, combine barley and peas in a wide mixing bowl and dress with two-thirds of the dressing. Taste then adjust dressing and seasoning. Fold in the mint leaves and feta and serve on a large platter.